Categories: "Verity" or "Cycling" or "Day to day" or "Family" or "Fitness" or "Gadgets" or "Movember" or "Photography" or "Travel"
I love this time of year. When the winds chill and the days are dry. 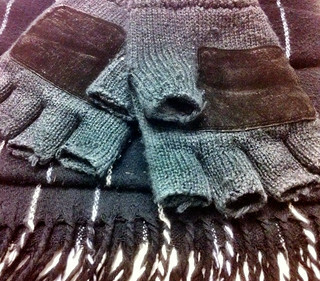 It's an opportunity to wear scarfs without them getting wet. Heavy winter coats embrace and enclose in comfort. I appreciate the heater in my car. I appreciate the warmth produced when cycling. I like to wake all snuggled in my winter-weight duvet. It's an opportunity to see the sunrise while on my way to work. Hot chocolate, soup, casseroles, steamed puddings, and mulled wine are all more enjoyable on these colder days. Sure there are disadvantages, such as leaving home and arriving back in the dark, but that lets me enjoy the sunsets in different places. What do you like about this time of year? I love this time of year, after Christmas and before everyone is back in the office. There are several statutory holidays. The Christmas rush is over, and people are less stressed. Many people are off work, with time to relax and catch up with friends. There is still an opportunity to get hyped for New Year's Eve, especially if you're in Scotland with Hogmannay. I like the opportunity to go into the office on the days between the statutory holidays; it's less frantic, and you can get things done with less interruption with many people away. It's a minimal number of days to take off work if you want to get away, and visit family, friends, or just other places. In NZ it's the start of summer vacations. Towns are quieter, with many people on holiday. Being an introvert is no reason for not travelling by yourself. Indeed it can make the experience even better. Shyness, of course, is a different story, and one I'm not covering here. Travelling alone gives you room to breathe and time to enjoy the luxury of being yourself. If you are visiting Wellington, here's a few things to check during your stay. 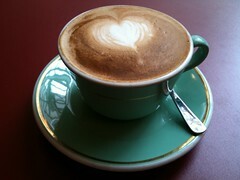 Grab a coffee from one of the many great cafes. Any cafe serving a locally roasted coffee (Celcius, Caribbean. Emporio, Fuel, Havana, L'affare, Mojo, Peoples, and Supreme) is likely to make a great coffee the way we like it in Wellington. Double shot is the standard so ask for a sngle shot, or a large cup if you're not sure. Wander along the waterfront, checking out the sculptures and the Wellington Writer's Walk. Te Papa has many exhibitions worth planning to see. Circa Theatre is right next door if you'd rather take in a show. Take a walk by the lagoon, over the City to Sea Bridge to Civic Square and visit the City Gallery. Further around the waterfront toward the railway station is the Museum of Wellington City & Sea, celebrating Wellington's social, cultural and maritime history. If fitness is more your thing, the Wellington waterfront is a popular running option. Early morning, or late in the day you'll see runners along here. 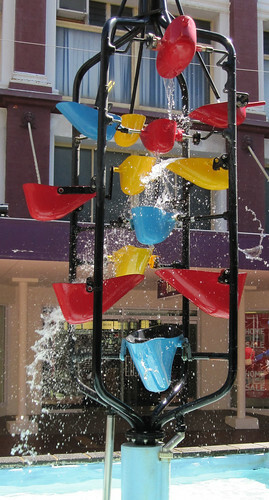 Cuba Street is only minutes away from Te Papa, with the Bucket Fountain and many boutique stores. You are close to Arty Bees where you are sure to find that book you have been looking for. The entertainment district of Wellington is centred around Courtenay Place, with a busy nightlight, but please, make sure the night before the conference is a quiet night. There is a vast choice of eateries in Wellington. Try Sweet Mother's Kitchen, Capitol, or Logan Brown. Stay for the weekend and enjoy brunch at the Maranui Surf Life Saving Club. If craft beers are of interest, then the capital is the place to come. 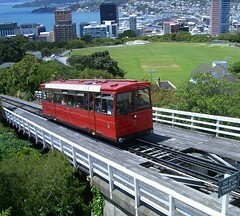 Wellington's iconic cable car is a great way to get up to Kelburn at the top of the Wellington Botanic Gardens. Look over the city before meandering your way down to the The Lady Norwood Rose Garden. Weta Cave of Weta Workshop is well worth seeing. I recommend the Window into Workshop tour. I went to the NZ IIBA BA Development Day last week. It was worthwhile and I would recommend it to any business analyst in New Zealand wanting to further their career. This one-day event was broken up into 3 streams: Equip, Evolve, Enable. I was late in registering and was unable to sign up for any of the workshops. Here is a summary of the presentations I saw.